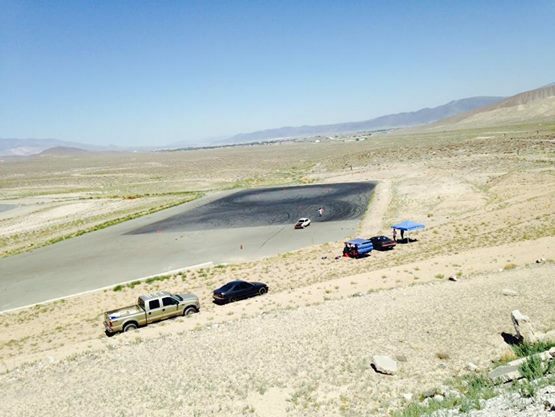 There was a Reno Drift 8/16… so this is a late posting but its been busy. Again, the Chevette and the Buick V6 proves to be a durable match for drifting and the combo is sufficient for some sliding. The new suspension set up also proved to work extremely well. Turn-in was great and the car handled flat. I was able to hold and control slide much better on a much better dampened and sprung car. However, the more and more I dug into tossing it the more I found that I wasn’t getting that far with it. 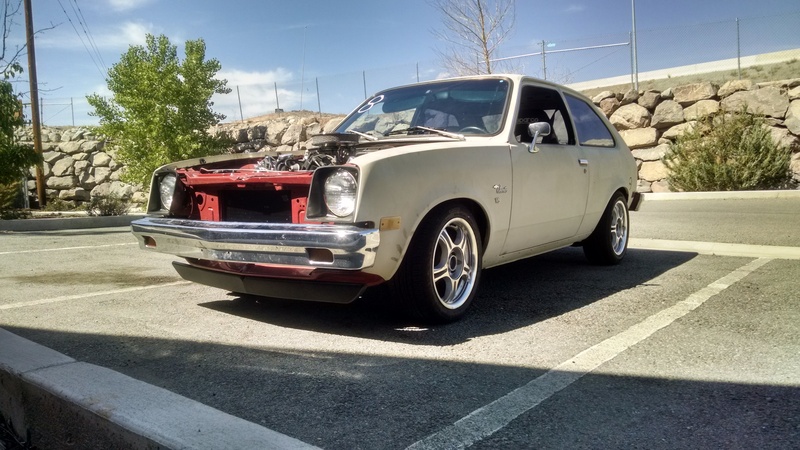 Despite that, I was able to get almost 20 runs in and learned how to handle the Chevette fairly well. For preparation of the event, I took the hood off and had a sprayer on hand so all the troubles I had with the car with overheating my first time out, for the most part, were taken care of. A spacer and heat shielding on the fuel lines were also added to battle vapor lock. The Chevette ran cool and consistently the whole day. 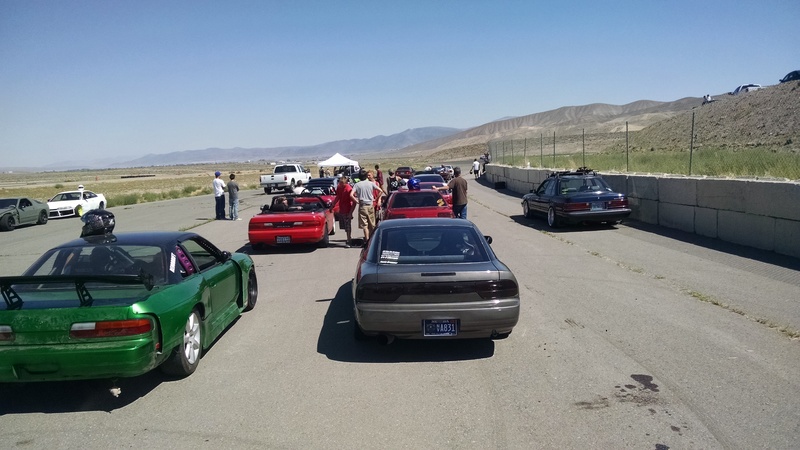 The event itself was, again, amazing filled with good people, grassroots fun, and tons of driving time. Here’s a video made on a quadracopter at the event. Check out his channel when you can! See if you can spot the Chevette! Stay Tuned for a history lesson ! !